Saving location information, for me, is one of the keys to successful landscape and travel photography. The ability to dive right into a possible spot on a map and instantly pull up saved images and location information can be a huge time saver and save a great deal of frustration trying to find relevant information in amongst an illegible and unintelligible notebook, which is where I used to save this info. 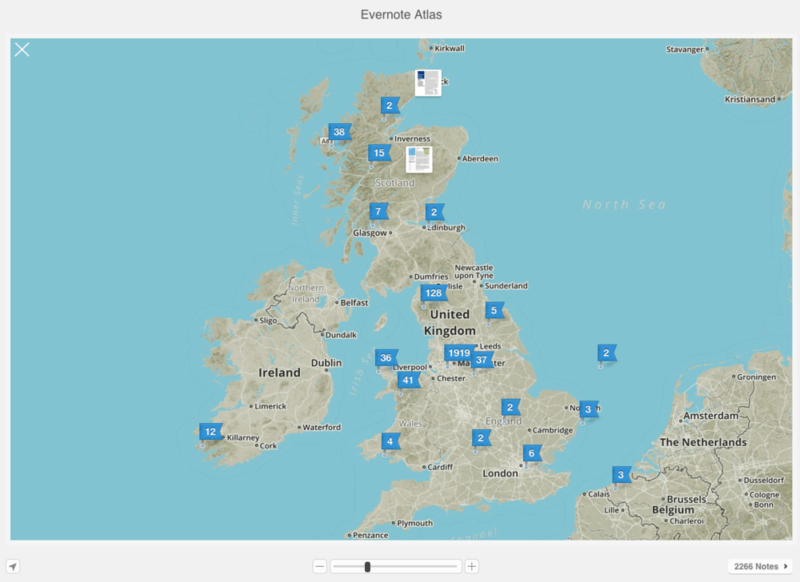 For many years I have extolled the virtues of Evernote to anyone that would listen but after a major change to the software some years ago, it has been pretty useless for pulling up relevant information based on a map view. Yes, you can geo-tag notes, add photos and thoughts but using the Atlas view has long been a complete waste of time because some genius at Evernote decided that being able to only view specific notes on a map was an irrelevant feature. I use Evernote as a surrogate memory and filing system. I run a totally paperless office and home. Everything is scanned into Evernote and then shredded so I have notebooks for everything from school clothing receipts, boiler repair information, client invoices, business expenses, saved tech tips, the list is endless. And whilst going on for 8,000 notes are all carefully filed and tagged, they all appear in the Atlas view making searching for notes from a specific notebook only very difficult. I have a notebook, imaginatively titled “Locations” and in here are around 1000 geo-tagged notes with ideas from all over the world. The majority are dreadful iPhone snapshots - I’ve been somewhere, the conditions have been pants but I’ve seen something that could, emphasis on the could, make a decent photo at some point in the future or I’ve worked a composition until I’ve exhausted ideas but still not come away with what I was looking for and felt that it needed a re-visit. Or maybe it’s a place I’ve hurtled by in the car or on a train and decided that further investigation at a later date could be efficacious. They’re an assortment of personal memory joggers, selfies, street scenes and landscapes. Most are untitled. I’m also a prolific reader of newspapers and magazines, online and offline and have saved many many details of places that I’d love to visit and shoot, carefully adding GPS data to them all. It's essentially the missing link between Evernote and mapping but where it comes into it’s own is that you can set it to display only one Evernote notebook, associated content can be saved for offline use, you can set location based reminders, share data, update data and have it sync back to Evernote and much much more. There’s Dropbox integration too if you prefer to work that way. Using the app, I can travel to any place and see only the data I’ve saved that’s relevant to the area I’m in and I can also plan routes much more easily. So now that I’ve had this revelation, what is my workflow for getting my images out of Lightroom and into IdeaPlaces? Well it’s slightly convoluted initially but now that I’ve caught up with the backlog the process should be significantly streamlined. 2 - Next, I trawled through around 38K images that had GPS data in the Exif and added them to this service. 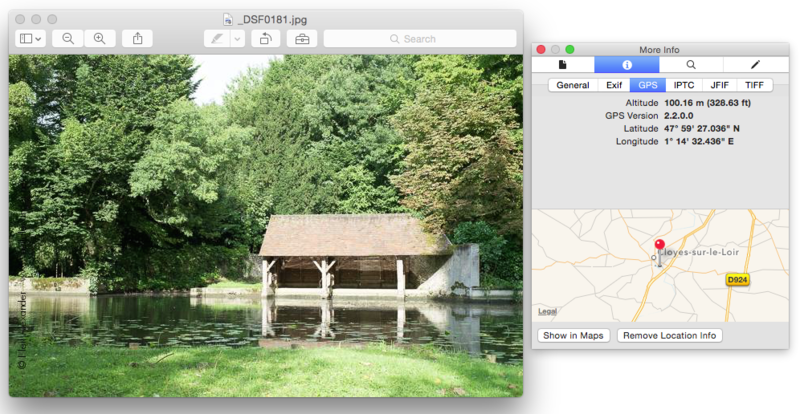 5 - Find images in finder, select all and right click > open in > Evernote. 6 - Wait until all new notes have synced. 9 - Open up the IdeaPlaces app and wait for the data to sync. 10 - Boom! Completely searchable map view with stacks of data. One of the biggest problems I have now, is that it transpires quite a chunk of the GPS data is inaccurate. I guess this is because either the phone hasn’t updated it’s location quickly enough when I’ve been snapping or because I’ve edited it in another app a few miles down the road and it’s been tagged at this new location, so I’ve a bit of pain to go through and manually update those locations I feel are incorrect. But going forward as a resource, it’s absolutely brilliant. And even better, I can share all my lovely data with you too dear reader. As I continue to add to this data stream with new gems, I’ll keep my notebook updated. All you need is an Evernote account and the IdeaPlaces app, you can then subscribe to my Locations notebook here and use this data for yourselves. Obviously I can’t share third party copyrighted data in this folder, so sadly I’ll have to create another notebook specifically for my own use, but I’ll keep adding my own images on those I find on the internet that I can use under Creative Commons to share with you. Caveat: Whilst I have been through the majority of the 850 locations I’ve already saved, I’m not guaranteeing complete accuracy. So please double check first and don’t blindly walk off the edge of a cliff or into a boggy swamp and then try and blame me!